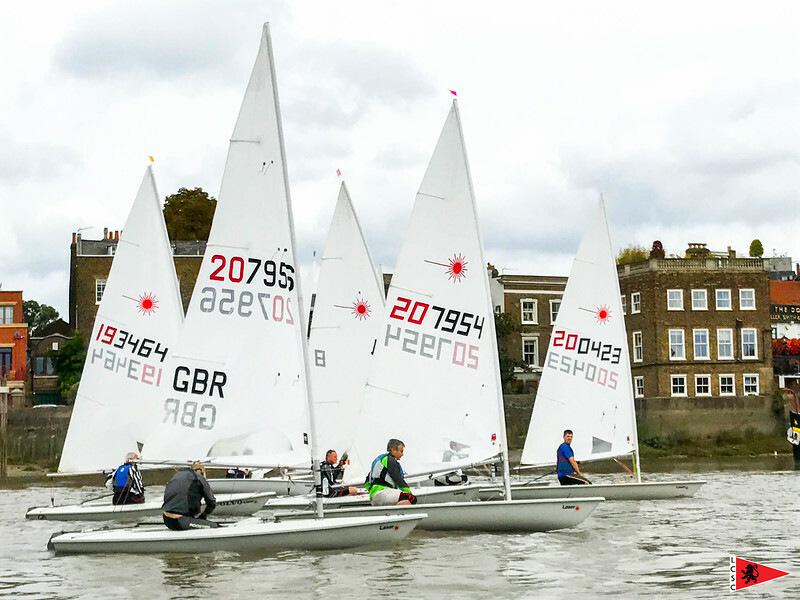 Sixteen dinghy sailors, including five visitors gathered at London Corinthian Sailing Club for the Laser Open and to compete on the only tidal venue on the Thames Valley circuit. With a shifting southerly 11mph gusting 20mph a windward-leeward course was set upriver of the historic club house, with the windward mark near Barnes Bridge and a leeward mark to the west of Chiswick Eyot (island, for those not au fait with river parlance). The fleet stayed close during the first lap but was racing dominated by Matthew Hill (Frensham Pond), Adam Meekins (Maidenhead) with London Corinthian sailors Peter Hamment, Clive Kitson, Andre Garah and Andy Oliver in hot contention. On the second lap, five dinghies overlapped at no 5 buoy. 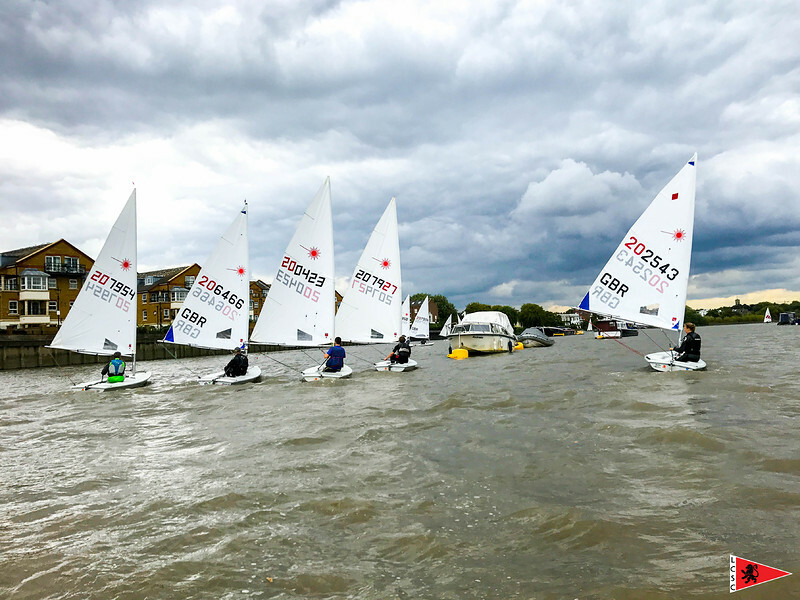 As the wind increased, racing became more lively, particularly during the gybes on the run against the tide, a couple of swift gybes at the finish gave Peter Hamment the win for London Corinthians followed in quick succession by the other competitors in the leading pack. 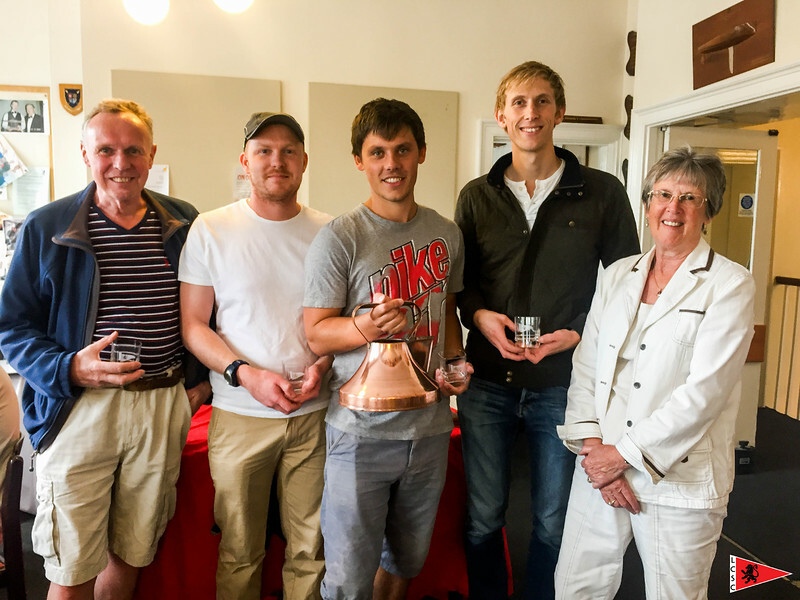 The Ian Bruce Trophy (a copper kettle) was won by Peter Hamment, LCSC and the Nina Woods Trophy for the Laser Radial was won by Edward Brown from Broxbourne Sailing Club.